How are actual growth (jobs, households, population) numbers tracking with projections? Each month the Economic Planning Indicators Committee (aka EPIC) compares actual numbers of new jobs, new households, and population growth to its EPIC report forecasts of the same. The region is now over two years into the five year EPIC report projections. How are actual numbers tracking with the projections? 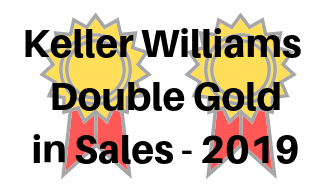 Click here to see the EPIC Report forecasts and the latest Actual numbers. For example, below is a chart from the EPIC Report showing new household formation forecasted scenarios compared to the actual number. 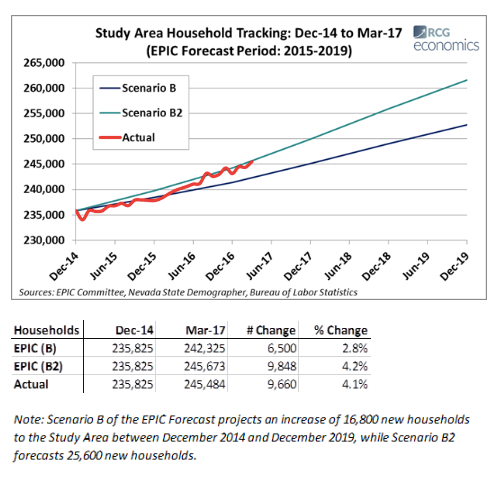 As can be seen, actual household formation is tracking more in line with “Scenario B2”, which forecasts 25,600 new households between December 2014 and December 2019. This entry was posted in Market Trends and tagged EPIC Report, Reno population, Sparks population. Bookmark the permalink.